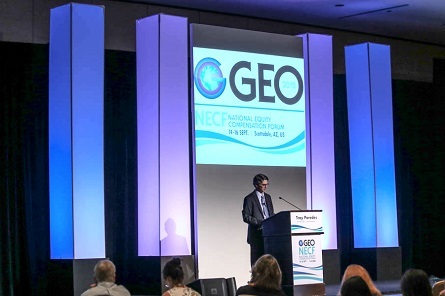 GEO's National Equity Compensation Forum (NECF) is known for bringing together strategic-minded attendees who are knowledgeable about employee share plans and interested in topics that address current issues vital to the application of equity in all of its core disciplines. NECF provided industry-leading education and networking opportunities in an inviting and relaxed environment, allowing attendees ample time to network with existing contacts and make new ones! "Attending GEO conferences enables me to connect with industry leaders and engage in dialogue that is critical to our business and industry. From my perspective, the attendees and their influence over the subjects covered at the conference make the difference between GEO and other share plan events." "In my experience, GEO attracts the best of the best in the field of equity compensation and provides a unique opportunity to interact with peers across the globe in a more intimate venue than other conferences on design, compliance and administration issues."